Why Organizations Replatform Their Mainframes? Companies are replatforming their mainframe environments in order to increase efficiencies and reduce costs. Mainframe Replatforming or Rehosting is the conversion or porting of mainframe applications to a new environment. The mainframe applications continue to run with few changes on a new platform. The most common platforms which legacy mainframe applications are migrated to are UNIX and Wintel environments. The decision to migrate off of the mainframe isn’t an easy one. The project can be complex and very involved. However, more and more companies are migrating their legacy applications off of the mainframe. Retiring Personnel: Systems support personnel are becoming scarce as more and more mainframe experts retire. Organizations are now faced with the risk of not having enough skilled staff to maintain their current mainframe systems. Companies are modernizing their mainframe applications in order to avoid the risk of being unsupported. Cost Reduction: The continued need to reduce cost and increase efficiency makes replatforming a compelling option. 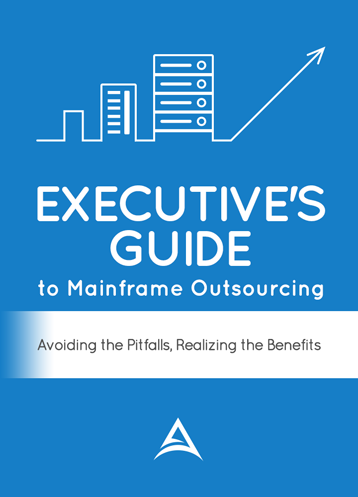 Companies are seeing a 40%-90% decrease in their mainframe operational costs when they migrate. This is due primarily to a reduction in hardware and software license costs. Cost reduction is in the forefront of the decision to rehost mainframe applications. Replatforming mainframe applications can require a tremendous amount of work and can be costly. Support: Having executive leadership support; this starts at the CEO level on down. Planning: Implementing a well thought out plan and testing process. Expectations: Having a realistic expectation for time frames and costs. Migrations can take months or years to complete. Vendor: Having the right vendor partnership.